“I am the reason mom can’t have a pretty backyard xoxo-Sophie”. 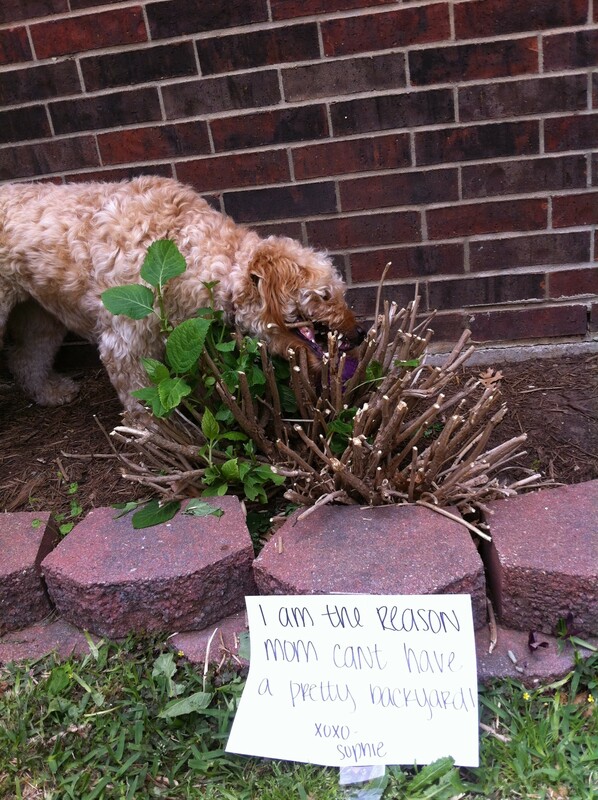 Our 2 year old goldendoodle LOVES all sticks….including, but not limited to, the hydrangea bushes. I thought I didn’t water them enough last year and they died but oh no…..Sophie was killing them behind my back! Posted October 19th, 2013 . Our doodle eats rose bush sticks, thorns and all. Especially when we leave the house. My golden doodle Norman was rewarded with being gated in the kitchen, instead of the crate, because he had been such a good boy. BIG MISTAKE, he ate the window sill and surrounding wall…never again. He will eat anything, I mean anything. Must have supervision at all times.